Gotz Hannah Summertime is an 'Autumn Special' from Gotz. Not usually available, this Hannah is a welcome surprise! She has big brown eyes, long lashes framed by her fringe and long dark brown rooted hair. She has asymmetrical facial features and similarly she has asymmetrical limbs. 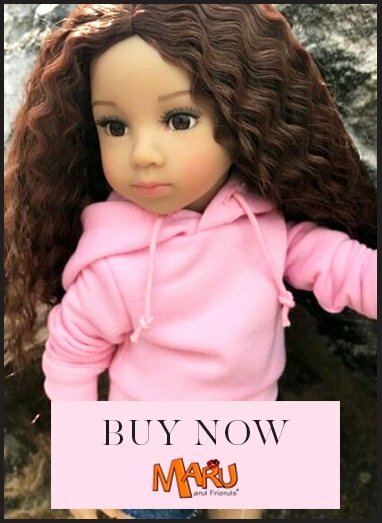 Gotz dolls are designed with a degree of asymmetry to make them look more real, as a reflection of the fact that in reality people are not symmetrical. She is safety tested for children from age 3 might be most suitable for girls age 5 and over as her body is vinyl which makes her less cuddly than a soft bodied doll, therefore usually better for a slightly older girl.